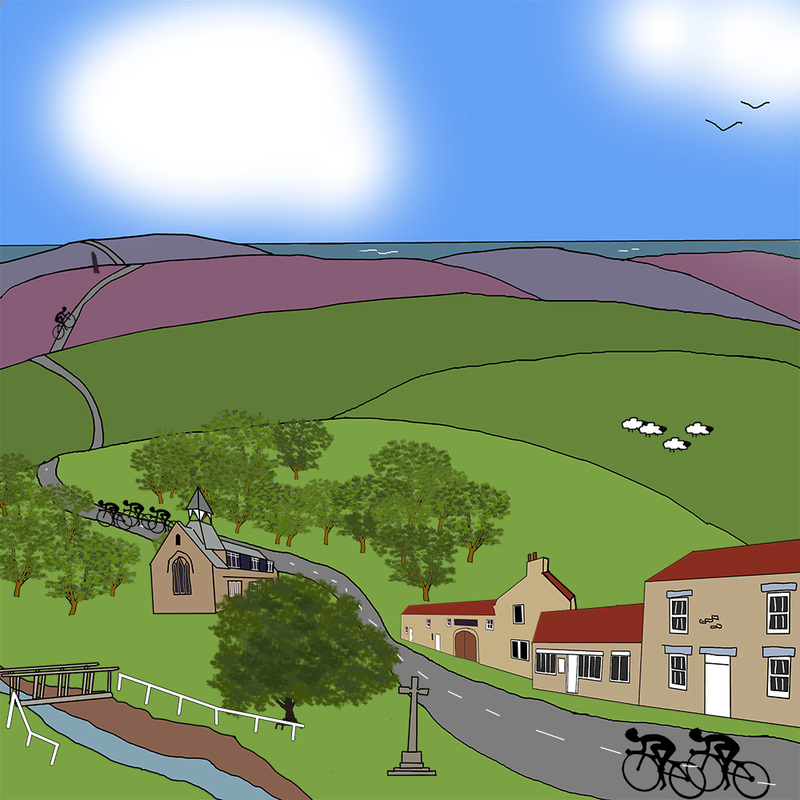 All these images and many more from the Tour de Yorkshire, Tour de France, Tour of Britain and Eroica Britannia are available as prints, coasters and greeting cards in my online shop. 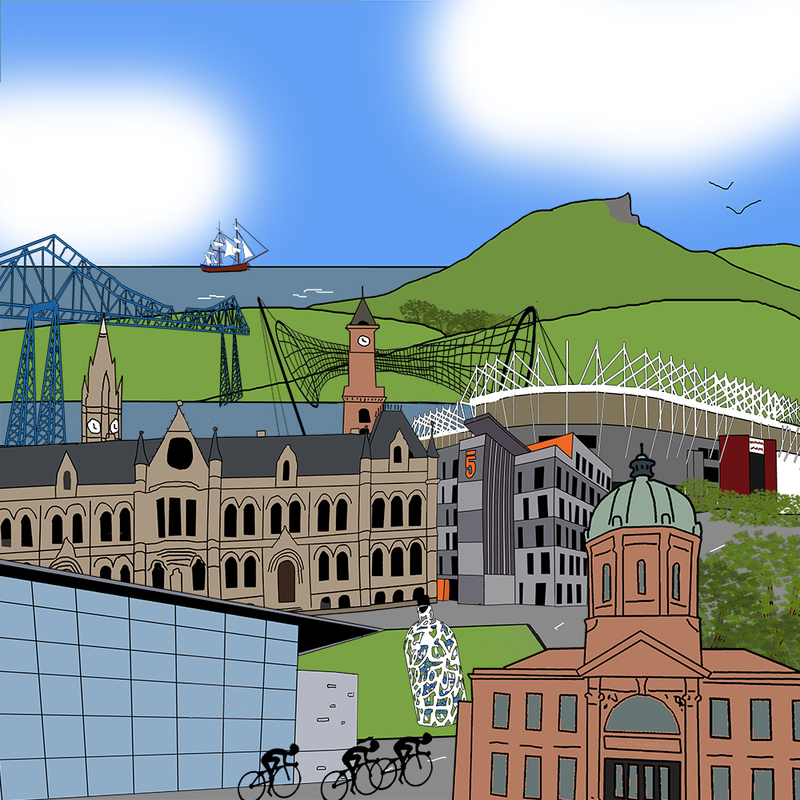 You can also find a selection of my work in shops and galleries around the region. 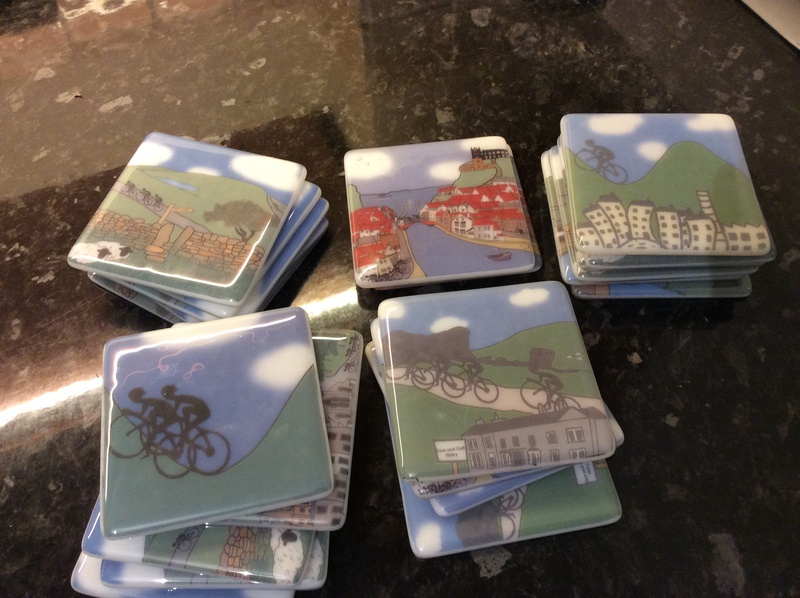 Win a boxed set of four of my new 2016 Tour de Yorkshire coasters. 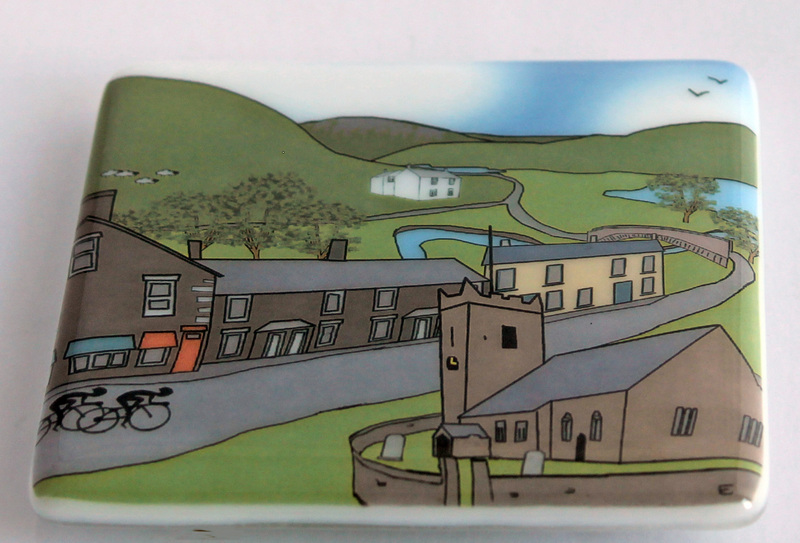 To launch my new 2016 Tour de Yorkshire range of coasters and prints I am running a competition. 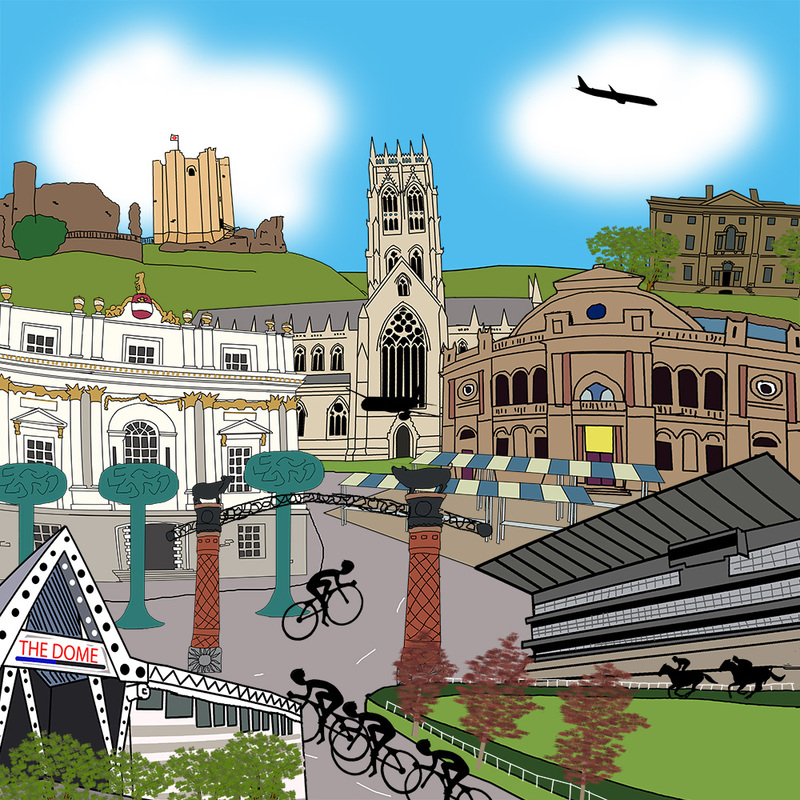 Stage 2 of this year’s Tour de Yorkshire will end in Doncaster. Last month I visited Doncaster and did a tour of some of its treasures the result is this image. 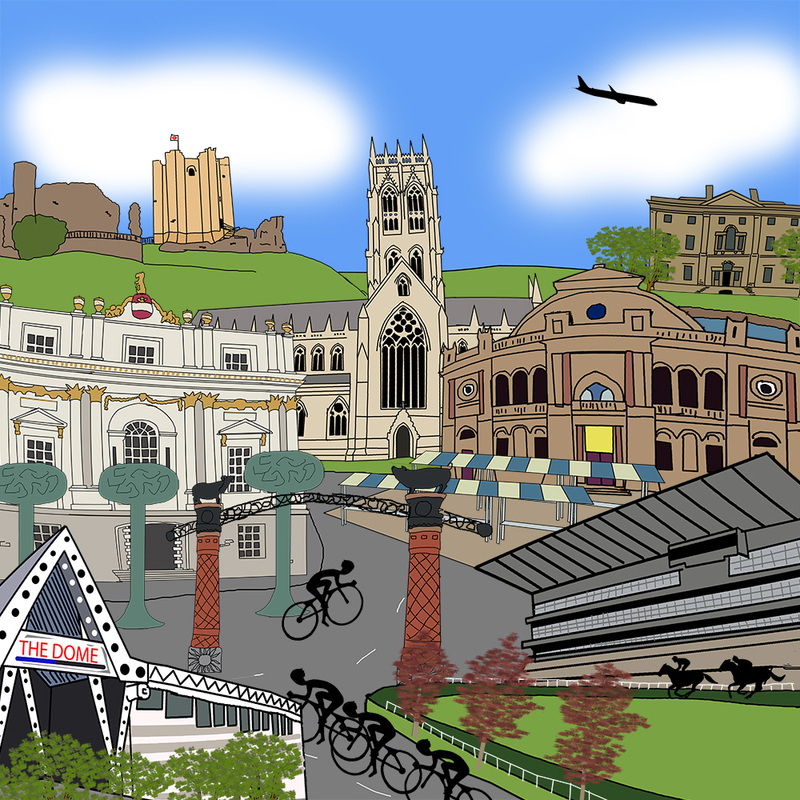 How many buildings / places / references to Doncaster can you find in this picture? Fill in the entry form with your answer below. The competition will end on the 20th March. The contestant who provides the greatest number of correct answers will be the winner. In the case of a draw a winner will be selected randomly. The winner will be announced on Facebook and Twitter and notified personally. 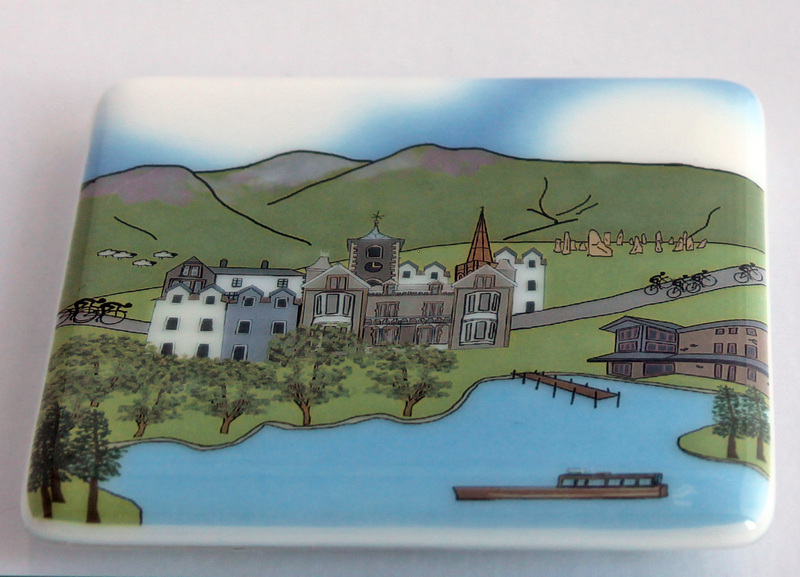 A boxed set of four coasters chosen by the winner will be posted by the end of March. You can pre-order coasters and prints of this image in my online shop. One of the things I love about my work is when I’m invited to work collaboratively with other businesses, shops, galleries, universities, schools to create a new piece of work. 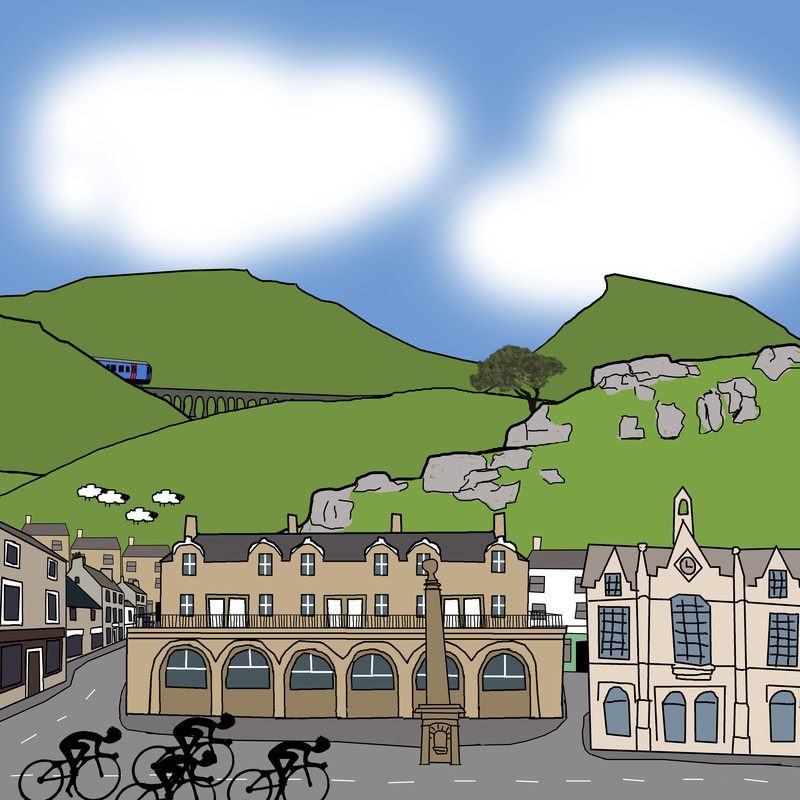 One recent example was when I was approached by Val and Nigel of Because I Like It Gallery and Tea room to create a collection based on the Eroica Britannia, an annual ride and festival of cycling taking place in Bakewell and the Peak District. Last February my partner and I took our bikes to the Peak District and cycled parts of the route to be taken by a host of vintage bicycles. It’s not an area I know well and I was delighted to discover some great new cycling routes. Armed with a camera full of photographs we headed to the Because I Like it café for some amazing soup and a chat about the collection. The four images below with penny farthings will be available exclusively at the Eroica Britannia this weekend and through Because I Like it in the future. 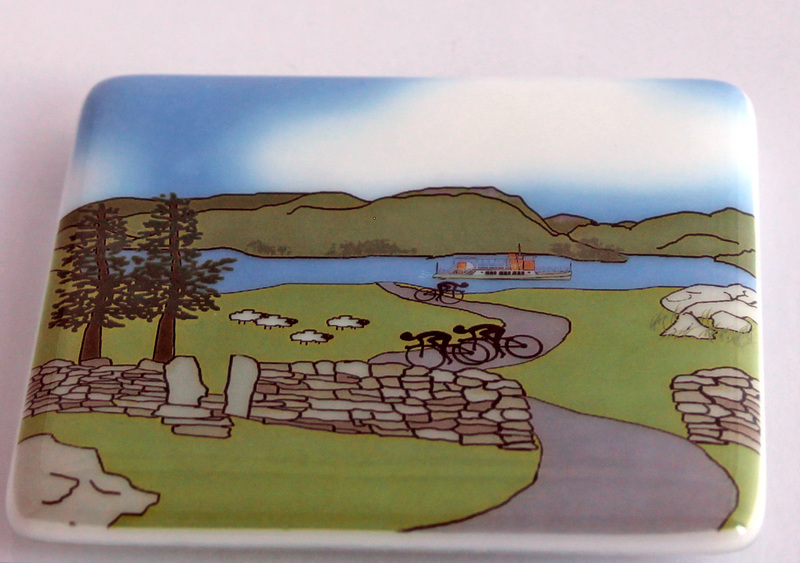 Other images without the penny farthings will be available through me at a later date. 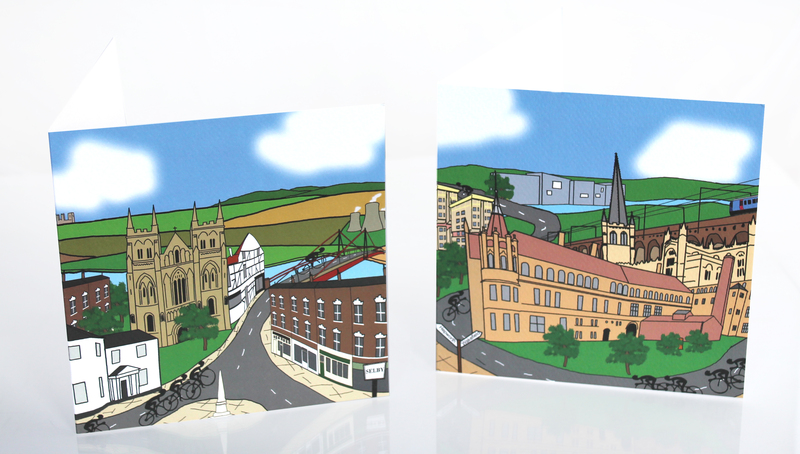 All four images are available as coasters, cards and prints. I am delighted to announce that my new work is now ready for sale. 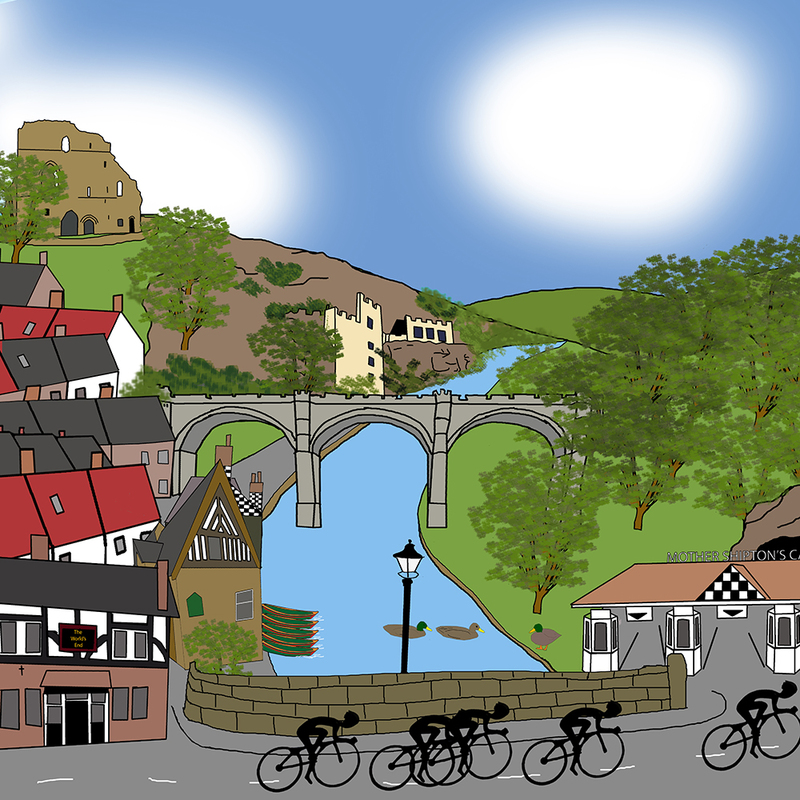 have spent the last couple of months working on additions to my Yorkshire Cyclist Collection and am now ready to officially launch it on the world. 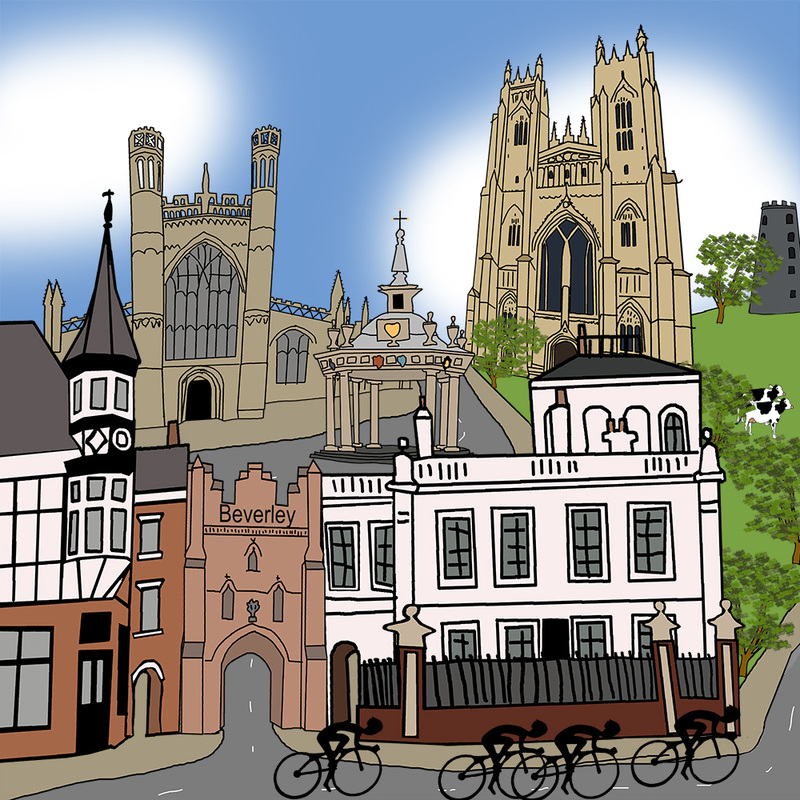 I have created 6 new images adding Wakefield, Selby, Bridlington and Scarborough to my collection which together with my previous images of York and Leeds cover the six start and finish towns of this year’s race. 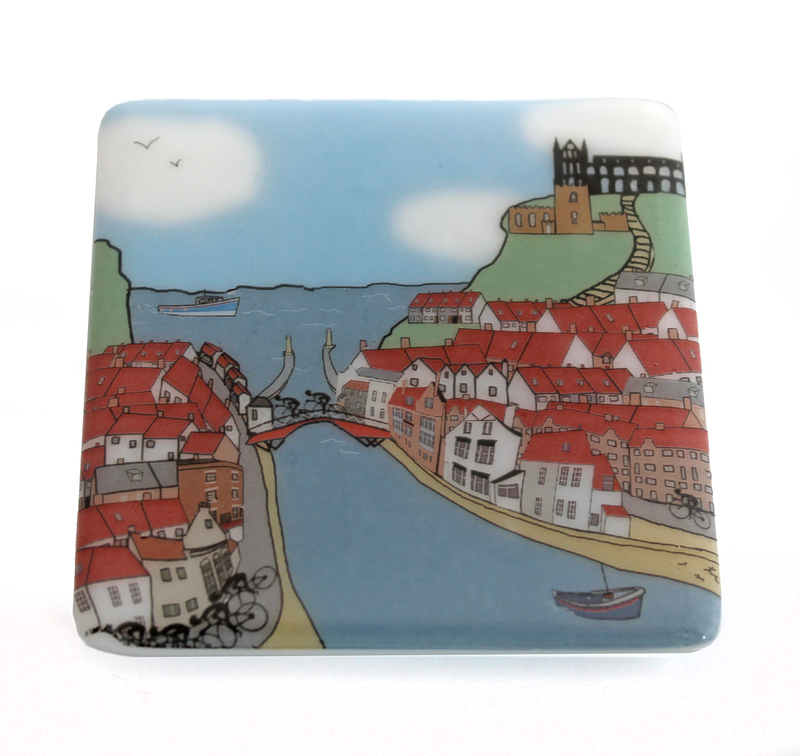 Being a big fan of the East Coast I have also added Whitby and Robinhood’s Bay thus creating a set of four seaside images. 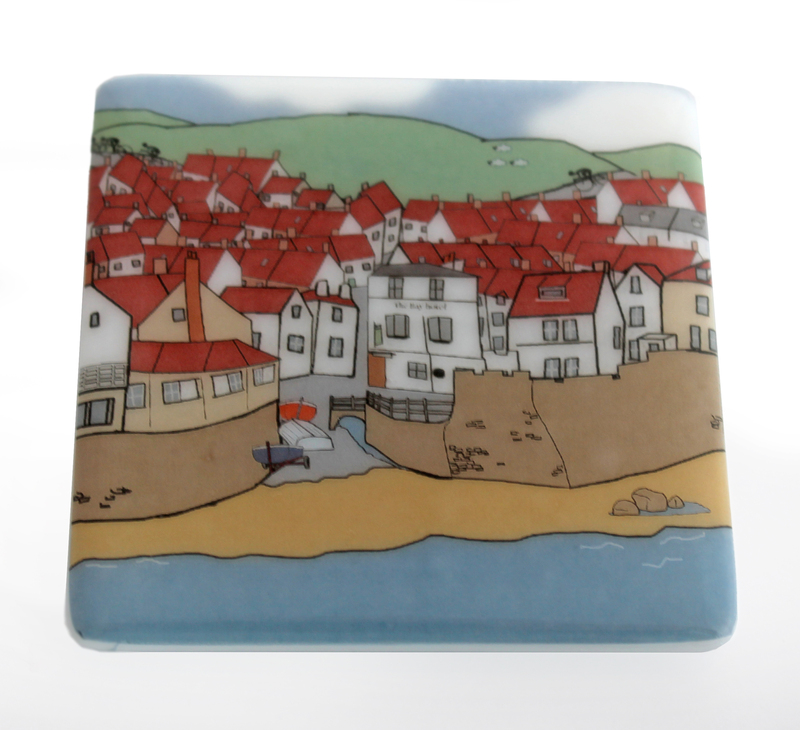 All my images are available as coasters, cards and prints and can be bought online. They will begin appearing in the galleries and shops that stock my work over the next month. 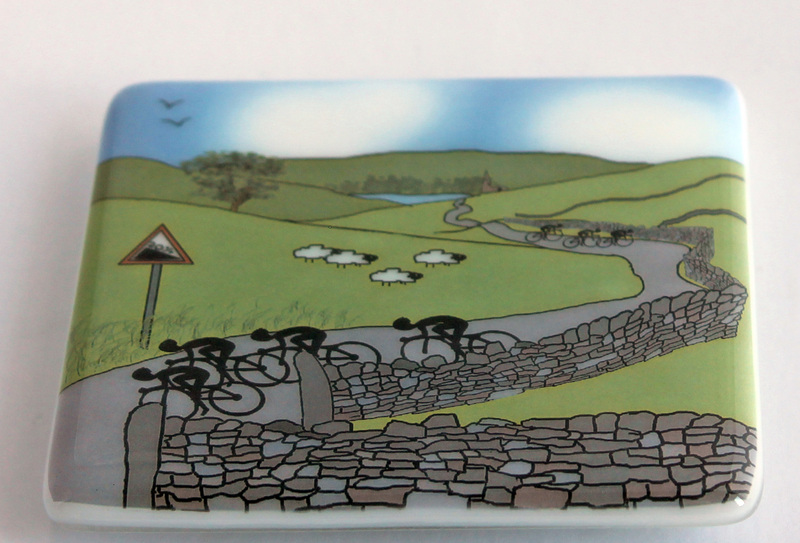 To celebrate my new work I will be announcing a special offer on all my Tour de Yorkshire range next week. Sign up to receive my newsletter to learn more. 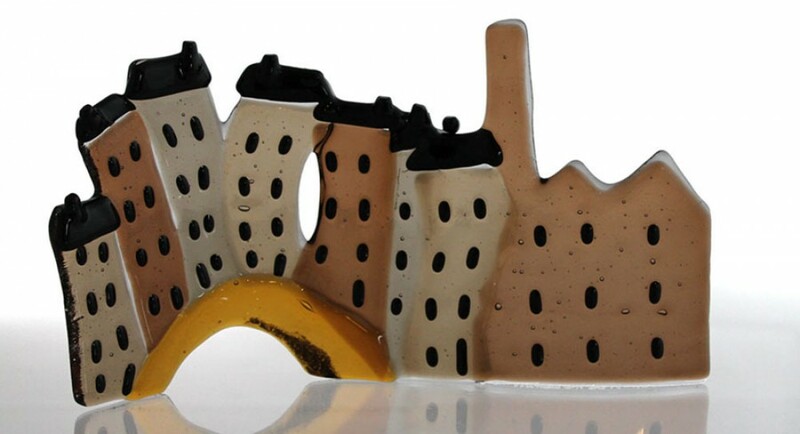 I will also taking my new work (and old) to Whitby for Easter weekend and to the British Craft Trade Fair. If you are visiting do come and say hello.